It begins at night on a strange, wild beach. The waves are dark and strong, dark trees bow in the wind from the sea. I am reminded of the mysterious Island of the Dead in the famous painting by Arnold Böcklin. I have companions, but on waking I am not sure who they are, or which side of the waters I am on. The dream was eerie, but left me thrilled with excitement. I was eager to go back inside the scene and discover more. I rolled my head on the pillow, ignoring the gray light of morning, and willed myself back. I smelled the salt air, and plunged into the waves. Now I was moving at fantastic speed through great sentinel rocks that came alive at my approach and became giants and monsters. Some resembled the creatures Odysseus had to survive, others seemed to come from Northern imagination. There was a storybook, cinematic quality to these stone monsters. 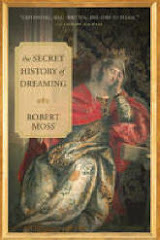 Uneasy to begin with, I soon found myself delighted by them, because I realized that I was now traveling in the imaginal realm of a child self, or of several of my Boy Roberts. A slightly older Robert, old enough to be avidly curious about girls, took charge, and now I was in a kind of harem dream, in which women of every type were flirting with me. This was fun, for a while, but some instinct took me to breakfast at the most elegant hotel buffet. I did not linger too long over coffee and croissants, because I felt the tug of another mind. I followed it into the presence of a true priestess, the leader of a great Western order of initiates who died around the time I was born. I had met her many times, in encounters between the worlds, and felt I had known her, in a different body, during her own time on Earth. I felt blessed by this renewed contact. She was a gentle teacher, in this encounter. She wanted to remind me of my connections with certain personalities in other times and other dimensions, and how our actions in any one of these lives change the patterns of the others. She gave me an image to bring back from this lucid dream. It looked like a Tarot card, hand drawn in ink with washes of color, from a marvelous draftsmen. Through the open flaps of a medieval tent, a city appears on the horizon, and at the heart of the city is a pavilion arranged for a special event, perhaps a marriage. The Roman numerals VI appear at the top of the card. In most decks, the VI trump is called The Lovers. But here, the word written on the card was Grace. There was more, much more - at least a dozen separate episodes, including ones in which I was inspecting books I haven't written yet and contributing to the translations of ones I do know. The gifts of this night were tremendous. A sense of grace (good word!) and bounty, which I want to name with that boisterous Italian word, abbondanza! Synesius of Cyrene, that great dreamer of the Greco-Roman world, wrote that the crowning gift of dreams may be simply that the Creator "infuses us with his own courage." Something like that. I have no desire to analyze experiences of this kind, simply to live and create with the energy and sense of grace they bring. I woke up around 4:00 a.m. this morning, without even a wisp of a dream after four hours in bed. While I recognized that my body had been demanding some down time, pure regeneration, I was still a little frustrated that I had no clue as to what the rest of me had been doing during those night hours. This led me to write an earlier piece about how it sometimes feels, on waking, as if the door of a bank vault has swung shut, closing off the treasures and terrors and adventures of the night. I counseled in the earlier piece that one of the things to do, if you don't have even a wisp of a dream is to "be alert for how the logic of the dreams you missed may now be playing out in the world around you." This became a no-brainer for me today. As soon as I went out my door to take my dog for his first walk, a neighbor on his way to the office hailed me from across the street. We are on friendly terms, but had not spoken for weeks. "May I tell you a dream?" he began as soon as I had crossed the road. In his dream, he is on a train with his friends, who include a very warm and friendly bear. They are happy playing with the bear and giving him snacks. Then the train divides. The part of the train with food for the bear rushes away on a different track. The dreamer and his friends are alarmed, because they want to feed the bear the food he wants, but now all they have are things he doesn't much care for, especially green bell peppers. They keep offering peppers to the bear, who is now very hungry, and the bear consent to munch what they are giving him, but clearly this is not the diet that he's used to and he's not happy. Walking together on the sidewalk, we did some Lightning Dreamwork. Title? "Which Track Has Food for the Bear?" Feelings? Happy to have been with Bear. Concerned that Bear isn't getting enough to eat. "If it were my dream," I suggested, "I'd think about all the Bear means to me as a spiritual ally and guardian, especially as an ally in healing. For me, the Bear is the great medicine animal. I'd be quite concerned that what feeds the Bear in me is on a different track than the one I'm on. I'd think about where in life I may have gotten on to the wrong track, in terms of what the Bear in me wants and needs." The dreamer readily confided that he felt he might be on the wrong track in his job. "I would want to see if I can find out where the two train lines lead. Maybe that would give me clues to the direction I need to follow now." He agreed to do this. As our ways diverged at a street corner, I thanked him for giving me a dream this morning, just when I needed one. As he walked away, I called after him, "And I would make sure to feed the Bear, quite literally, what the Bear wants to eat. For me, that would include salmon, berries and honeys. Bears do like to eat!" So I will take the Lightning Dreamwork a step further than we usually do, by accepting this Bear dream as my own dream, on a morning when my night dreams were missing. I'll do what I encourage my neighbor to do. I'll think about switching-points in life where ways diverge,and the need to clarify the itinerary and destination on alternative life tracks. I'll make sure I am feeding my animal spirits, in every sense! I am smiling over this prompt and simple demonstration that the world will give us a dream if we'll let it. From a Writer's Dream Journal: Mix It Up! From my morning dreams. Very much in the style of dreams I have when moving towards new book projects. In a Mexican restaurant. It is a modest place, where most of the action is at the takeout counter. I want something that is not on the regular menu, and they say that can make it for me. The waiter has little or no English, so I communicate with him in Spanish. I order a margarita con sel y con hielo. I don’t understand what he brings. There is a little glass with slices of lime and a small amount of what looks like sweet syrup. And a second glass filled with a light yellowish liquid, and another with water. I sample each glass and realize that the second glass contains neat tequila. He has given me the fixings for a margarita, not the finished drink. I’ll need to mix it according to my own taste. Not such a bad idea, though it’s strange that a Mexican restaurant can’t deliver a finished margarita. The food delivery is equally strange. I am given some small plates with different ingredients that are not yet a finished dish. I poke around, wondering what’s going on, looking rather hungrily at other customers who are picking up regular specials (including chicken and fries). I don’t understand that I am supposed to make my own dish until the waiter starts to remove plates of meat and peppers that I have barely touched, while delivered rice and beans and tortillas on separate plates. I bark at him to leave my food on the table! Reality: It’s certainly possible I could go to a disorganized or bad Mexican restaurant in the future! But it’s the symbolism of the meal and the drink that need to be assembled that strikes me here. We get to recognize our personal styles of dreaming, and this dream in very much in the mode of those I often have when starting to move forward with new book projects. The state of the kitchen or the restaurant in my dreams often reflects, rather exactly, the state of my progress and organization in relation to a new book. When the scene is a restaurant, the theme can extend to relations with publishers and the marketing and commercial aspects of a book project. I’ve ordered something beyond the regular menu, as well as a drink that is very popular and familiar. For both to be completed and fixed according to my taste, I have some mixing and assembling to do. The good news is that the ingredients are all there! And also that, while I need to speak a different language in this place, I am competent in that language. I'm chuckling over a fresh example of long-range telepathy at work between a dreaming and a waking mind. Not the first, in my experience, that involves the writing process. I kept vampire hours tonight, mining old journals for material for new writing. I paused from time to time to look at ideas and exercises for creative writing that I have sketched out over the years, both for my personal use and as plans for one of my favorite workshops, "Writing as a State of Conscious Dreaming." Just as I was thinking of continuing my dreaming in bed, I received an email message from my friend Ana Maria Stefanescu n Romania, who hosted a marvelous workshop for me in the Bucegi mountains last month. She reported that - while I was reading and making notes - she dreamed that I gave her a series of ideas and exercises for a creative writing workshop she is planning to lead in Romania in December. She commented that she woke up very excited, but still tired. Certain that she would be able to remember what she had learned, she allowed herself to drift back to sleep, then woke again to find that most of the content was gone. She requested me to show up in her dreams again and repeat the instructions! I recalled that on a previous occasion, someone who dreamed they received tuition from me was not only able to recall the whole session in exact detail, but to help me fill a page in a book I was writing. Back in the period when I was working on my book Dreaming True, I received a message from a woman in California who had attended one of my programs. She wanted to thank me for the lecture I had given overnight, in her dream, in which (she said) I had summarized part of my argument very cogently in five points that I wrote on a whiteboard. Unknown to her, except for her dream, I had reached a stage in my book draft when I wanted to sum up part of my thesis in five points, but had only formulated the first to my satisfaction. I shot back a message to the California dreamer asking if she could retrieve her lecture notes and send them to me. Right away, she sent me the five points Dream Robert had made in his lecture. They filled in, exactly, the missing bits in my book draft. And I put them in the book with almost no editing! My response to my friend who lost the details of what Dream Robert was telling her about crafting a creative writing workshop? "Maybe you can go back inside your dream and get Dream Robert to give you those ideas and exercises again!" from the night when you lost your skin. The poem is in my collection, Here, Everything Is Dreaming that will be published in April 2013. I couldn't help joking that this fine flow of telepathy may have been aided by the fact that my friend is in Romania, while I was keeping vampire hours! I will be leading my five-day creative writing adventure, "Writing as a State of Conscious Dreaming" at magical Mosswood Hollow, near Duvall, Washington, from May 6-10, 1013. We discover a hill that may be an enormous rounded boulder. Its surface is pitted with what may be cave openings. There are also native rock carvings and pictographs here. Trails to the great rock from either side are also marked with native carvings. I am very excited. We have found a way to access the ancient spirits of this land, both spirits of the First Peoples and spirits of nature. I may give everyone the assignment to go this hill and bring back their own message, by entering a cave or copying and inscription or even by imagining what message they would inscribe as a symbol if they belonged to the ancient ways of this land. Through all of this, I have the sense of a native elder looking in, watching over, initially wary, wanting to check my intentions, then very willing for us to learn, at the price of respect and careful study and attunement. His voice is like the wind. His name may be Rushing Wind. I asked for this dream. On the first night of my workshop at the Esalen Institute last week, I set the intention of dreaming for the group, and it seemed I was answered. I opened the morning session by placing a tobacco pouch at the center of the circle and suggesting that everyone might want to make an offering to the First Peoples of the land. When we joined hands to sing together and set intentions for the group, I spoke of the ancestors. The trail is very physical seeming, dust rising underfoot, smell of chaparral. I can make out carvings on stones along the way, impressions of fish and wavy lines for water. The prayers in stone of a fishing people. At the base of the mountain, I find the entrance to a cave or tunnel. There is a fierce guardian figure, with a single eye, like a giant hairy cyclops. He is ordered back by a power – Rushing Wind, the elder from my dream? – who asserts my right to enter. I realize that white wolf and mountain lion are with me, hawk overhead, and the energy of Island Woman. I am asked for a dream name. Soon I am carried through a network of passages and caves by rushing winds, until I am deep in a great cavern in the presence of a giant bear. He is not friendly at first, but accepts the bear in me. I begin to inspect patterns on a cave wall. A light glows behind the stone until it looks like frosted glass. Then it becomes transparent, like a window. Now it is no barrier at all. I step through into a world of primal beauty and simplicity, where people are fishing and gathering fruits. They remind me of the people among whom I lived when I left my body at nine years of age. They welcome me, and I am full of joy to be with them. For the natives of this land, they are the Original People, ancestors of the ancestors. Whatever is done in the surface world, they are here. There is a deep sense of belonging, of home. I am reluctant to leave, but I am drumming for the group and responsible for them. I leave the caves and walk the trail on the other side. I see my beautiful double. I know that, if things go well, we can finally come together and walk together through the sun, which is right ahead, on this trail leading beyond the Mountain of Messages. I have led many journeys to caves of the ancestors over the years, and provide a script for this kind of shamanic journey in Dreaming the Soul Back Home. The dream-guided Esalen group journey was especially thrilling not only because it seemed to open an authentic link to the First Peoples of the land where we were gathered but because - for me personally - it reopened contact with a world-behind-the-world I discovered during a near-death experience when I was nine years old. The dreamers who joined me for a five-day adventure at Esalen last week were eager to meet Death. Many had encountered deceased relatives and loved ones and were eager to learn more about conditions in the adjacent world where the departed are at home. Most were intrigued by the idea that we can approach life choices with greater courage and clarity when we have had a close-up encounter with our personal Death and can view our decisions as if Deah is standing at our left shoulders. After a rich day of deep exploration, including journeys to the Other Side, we agreed would wait until after sunset to put ourselves in the presence of Death and respond to the questions that Death mayput to us. As the sun lowered over the sea, we were gifted with the most extraordinary show of light and color that I have ever seen. The sky was filled with wings. "An angel sky," someone pronounced. "A great night to die," we agreed. "Incontrovertible evidence of heaven on earth," exclaimed a friend who saw some of the pictures I took. For what the questionnaire of Death contains - and the possible terms for negotiating a life extension - please see my book Dreamgates. I sometimes find myself doing complete Tarot readings in my head. At a recent workshop, when we chose partners for a shamanic tracking exercise, a woman I'll call Mikki asked me to bring her guidance on creating a small holistic center. This was one of her longstanding ambitions, and she felt she was nearing the point in her life where she would have the resources and independence to fulfill this life dream. I asked her to give me an image I could use as a portal in embarking on a shamanic journey with the aid of drumming to find what she needed to know. She smiled and said, "I see myself doing Tarot readings at the center." This was perfect, given her intention. As I drummed, I let my bird allies fly part of my consciousness to an old brick building in a downtown area that was being brought back to life. I toured the rooms in the rented space that was being used - in a possible future - as the holistic center the woman wished to create. I had the impression that building was previously industrial, possibly a gasworks. I was drawn to a pleasant natural foods cafe on the ground floor. I saw life-size paintings of major arcana on the walls, and found Mikki's double seated at a table with a Tarot deck in front of her, ready to do a reading. I invited Madame Mikki to spread the cards to provide guidance for the Mikki who was waiting in the workshop space. Madame Mikki laid ten cards face down, producing the ten-card spread widely known as the Celtic Cross. One by one, she - or my secret working mind - turned the cards over, producing one of the clearest readings I have ever seen. I was able to retain exact memory of the sequence of the cards, and drew this in my journal after I ended the drumming for the group. When I was able to share directly with Mikki, I took her, one by one, through the sequence of the cards, giving her my own attributions and associations, and weaving in hers. At the center, the High Priestess seemed to embody her big dream of moving to a new level of life and spirit, crossed by all that bound and bedeviled. She was moving from the mature Queen of Swords part of herself that had an excellent brain and excelled at reason and planning (Mikki was an engineer) towards a less developed, passionate Princess of Wands part of herself that wasn't afraid to ride the tiger. In her own position was a powerful personality willing to cross the wilderness by inner light. On the horizon of possibility, the Lovers trump held the vision of union with the beloved, perhaps on several levels. In the position of her hopes and fears, the Tower, the prospect of the overthrow of familiar established structures. In her immediate environment, the Sun smiled on her; I reminded her that old-time Tarot readers sometimes say that if the Sun is in your spread, you have nothing to worry about. At the root of all, the King of Disks (called Knight in the Thoth deck); we talked about a history of patriarchy, in the family and at the job, to be recognized and moved beyond. The outcome? The three of Disks. Solid, steady work. We noticed that six of the ten cards were greater trumps, suggesting that big forces were at play around her intention, to challenge and to support. Three face cards, suggesting the necessity to recognize and work with others (certainly essential to bringing clients and other practitioners to a center) as well as aspects of the self. A lone number card as the outcome, solid and steady. I like the three of Disks very much. She liked it too, saying she wasn't afraid of work. Our discussion led Mikki to decide on concrete action plans, involving reaching out to others and scouting rental properties in a neighborhood she identified from my description. Did I speak of doing Tarot readings "in my head"? That language may be inadequate. Tarot images can open doors into the imaginal realm, which is not inside our heads but rather, a realm we may sometimes succeed in getting our heads inside. Let's add that here the Tarot images may come alive and reveal themselves in forms beyond any of their painted representations. I am leading a new workshop on Dreaming with Tarot in March. My latest book Dreaming the Soul Back Home contains a section on games to play in the Tarot Corner of your Secret Library. The Hero is setting out on the Quest. He is given his weapons. They are not the usual hero's weapons, like a sword or a wand or a magic cloak. The first is a tightly rolled scroll, inside a cylinder of the kind provided with degree certificates. This is the Document of Decision. It is a clean, clear, tight statement, and when the Hero unfurls it and reclaims it, he can move forward with sword-point resolution and clarity, and those around him respond accordingly. The second gift is the Dissertation of Doubt. This is an untidy mass of hundreds of pages, loosely held together with what appear to be shoestrings. The contents may have their uses, but consulting this interminable discussion of pros and cons and whys and wherefores does not seem likely to get the Hero where he needs to go very fast. However, those who support the Quest must have their reasons for weighing him down with all this material. Feelings: I woke from this dream cheerful and curious. "You will do as you will, my lord Aragorn," said Theoden. "It is your doom, maybe, to tread strange paths that others dare not." I capitalized Hero and Quest in my dream report because it seemed I was viewing a model for the archetypal Quest, not a specific version of it. Question: Why do those who support the Hero burden him not just with doubt, but with this huge and ponderous Dissertation of Doubt? In my travels around the world, I often find myself thinking of this exchange in Dante’s Purgatorio. Wherever I go, I try to be fully present, to the people, the culture, to the physical landscape and the mythic fundament. I get lost at times, in more than one sense, and that is a special moment of opportunity since in order to find ourselves, we may first need to fall off our maps and our certainties. Dante's adventures begin when, at the mid-point of the road of life, he finds he is lost in a dark wood. He must journey through all the cycles of Hell until he at last ascends to the gate of Purgatory and - after knocking on his heart - is at last able to meet the beloved of his soul face to face. The guide takes the form of Beatrice, a beautiful young woman he loved and lost, but in her eyes he sees reflected the beauty and terror of the griffin. The guide is more than human: she is animal, and she is divine. What are her first words for the soul traveler? She reproaches him for losing years of time and his soul's direction because he failed to hear her when she called him in dreams, again and again. my heart sings a new song of remembrance. hold me and seed me. and then fall through, consumed. My wishes ride to the sky on a cloud of tobacco. and are strangers no more. We are family. Among these dreamers: support, love, community. until we find our own wings. Together we fly. a family stronger than blood. I dance with those I love through life and death . through me, and Wolf Mother enters my heart. In the closing session of our gathering of active dreamers on Gore Mountain last weekend, I asked members of the circle to contribute phrases evoking our shared adventures in healing and transformation, to be woven into a community poem. This is the first version of this group creation. When people ask what they should bring to my workshops, I tell them to bring their sense of humor (of course) and their openness to adventure. I find, in general, that these are also vital prerequisites for travel. I'm generally relaxed when my travel plans get screwed up because the Trickster comes into play and an unexpected story begins to unfold. I open one of my books (The Three "Only" Things) with five tales of extraordinary encounters that came about because I missed connections and found myself on itineraries I did not plan, on the "wrong" planes. It's been said that unless something goes wrong, you don't have a story. I have often quoted this with appreciation, and have even been known to say that I'll put up with just about anything that happens on the road as long as it has story value. I stopped talking this way prior to my recent return journey from Brazil. I had been spooked by a strange series of misadventures and long delays in flying back from Europe in mid-October, after being driven part-way off a cliff by a fox-cursed demon driver on a mountain in Romania. I was trying to keep up with the progress of Hurricane Sandy, with only sketchy wi-fi access. So I announced to my host, at Florianopolis airport last week, "I don't want any adventures on this trip. I'll be very happy to get home safely without a new story." Check-in was a breeze, first at Florianopolis, then at busy São Paulo Guarulhos airport. The flights left on time, and the news was that, while New York City was a mess, Sandy had barely touched my home area 150 miles north, and my home airport was open. I relaxed in my seat for the ten-hour red-eye flight from São Paulo to Atlanta, the middle leg of my journey. A man with a subcontinental accent excused himself to take the window seat next to me. As soon as he had settled into his seat, he turned to me and announced, "I had an adventure." Three days earlier, he told me, he had a major heart attack in São Paulo. He recognized the symptoms - chest pain, numbness in the left arm - because he had had a heart attack before. The hotel arranged to get him into a hospital with an excellent cardiac unit. After tests, the surgeon inserted three stents; he pulled up his right sleeve to show me where the tubes had gone in. He was able to leave the hospital the previous night, and here he was, taking a long overnight flight to Atlanta en route to his home in Arizona. I was amazed by the speed and smoothness with which this man had apparently got through his crisis. He explained that there had been a bit of a problem. The São Paulo hospital required cash up front; 1,000 reis (about $500) to get in the door, $30,000 for the whole procedure. Fortunately for him, the company he works for had wired the money. "And if you had not been able to produce $30,000?" "Then I would be dead." What was he doing in Brazil? He told me he is a veterinarian who specializes in chickens. He advises on how to reduce disease risks among poultry. I asked the chicken doctor, "What effect has this knock on the heart had on you? Will it change you in any way?" He allowed that he might pay more attention to diet and exercise. But his response went much deeper. "I think I'll have more compassion now, because people have been kind to me. I'll spend more time with my nine-year-old daughter." He thought a bit and added, "I'll probably find myself asking, in the face of many choices, what really matters." I did not ask for an adventure on that trip, but I got one seated beside me. My final flight, from Atlanta to Albany NY, landed early. São Paulo Guarulhos airport photo by Rafael Matsunaga. Photos by R.M. from our fall gathering on the mountain. On my first night on Santa Catarina Island, I dreamed I was introducing people to the Great Mother Goddess, counseling them to treat her with respect. On my last day on the island, I agreed with my host that we would take a drive around the bay side, to an area of Azorean fishing villages and oyster beds. The drive was wonderful. On the forested hills, indigenous garapuvu trees put up vivid yellow canopies, like floral umbrellas. Just short of the village of Ribeirão da Ilha, I saw a wonderful female figure in a flowing blue gown, arms raised, a star in her hair. "Stop the car," I said to my friend. "That's Yemanjá." I gave the great goddess of the sea and of motherhood her Brazilian name. In Spanish-speaking countries she is Yemaya. In both versions, her name is a contraction of the Yoruba phrase yeye omo eja, meaning, "mother whose children are like fish." The phrase evokes her endless fecundity; she embodies the sea of life, immense and universal and giving and forgiving. In other parts of Brazil, her presence by the water would be no surprise. Hundreds of thousands of people gather by the sea in Rio de Janeiro and Salvador da Bahia for her festivals. But here in the south, I was in a very white part of Brazil, settled by Germans, Austrians and Italians after the Portuguese sent early colonists from the Azores; signs of the Afro-Brazilian tradition had been absent until now. We noticed a sign across the street from Yemanjá, for the Ilé de Shangó, the temple of Shangó, the thunderer among the Orixás, the African gods who crossed the Atlantic with those brought to the New World in captivity. We crossed the road and were greeted by a friendly, maternal black woman who proved to be a filha de Shangó (a daughter of Shangó). She gave us an informal tour of the temple and explained that it had required a long campaign to get permission from conservative, white town fathers to place a statue of a black goddess at the edge of the bay. Pleased by my enthusiasm and my familiarity with some elements of her tradition, she invited me to take off my shoes and enter the sanctuary, where I was received with kisses and embraces as one of the family. I studied photographs of the pai de ilé (the father of the temple) with drummers in Nigeria, and recalled how, thirty years ago, I nearly gave up my familiar life to go to West Africa to be trained and initiated in this tradition. The priestess expanded her tour to the kitchen, where her daughter-in-law was nursing a baby, and showed us the pots used for cooking for the feasts that accompany their nights of ritual. I thanked her, and the Great Mother by the bay, with respect, for what felt like a happy homecoming. I had been uneasy until now about my return flights to the United States, receiving broken reports of the progress of Hurricane Sandy. I now relaxed, feeling all would be well. All three of my flights went almost impossibly smoothly; I arrived a few minutes early at my home airport, on Halloween. On my first night home, I dreamed again of a Great Mother, in a different guise, this time as a Native American spirit woman who opened and held a marvelous space for healing within the gathering I am leading on a mountain in the New York Adirondacks next weekend. As I look over my wanderings in this world, and the traffic from the mythic world that is forever part of this story, I see I am always coming home to the Goddess.